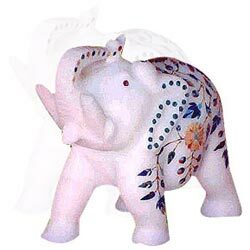 White elephant figures are considered auspicious. 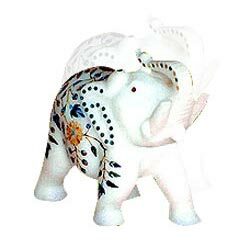 We bring to you an array of inlay enriched elephant figures. Possess one of these lucky charms. A ideal elephant gift for the collector! 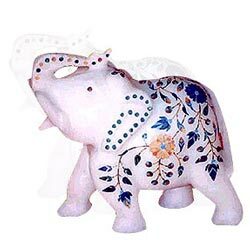 Beautifully handcrafted with richly inlaid work on white marble. Elephant sculpture displaying it's own natural impression. 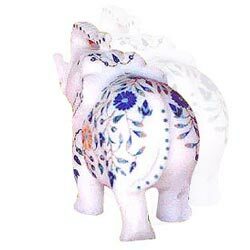 This fascinating and solid stone elephant carvings gives an natural impression. Not only a perfect piece of art for you drawing room but also for gifting.